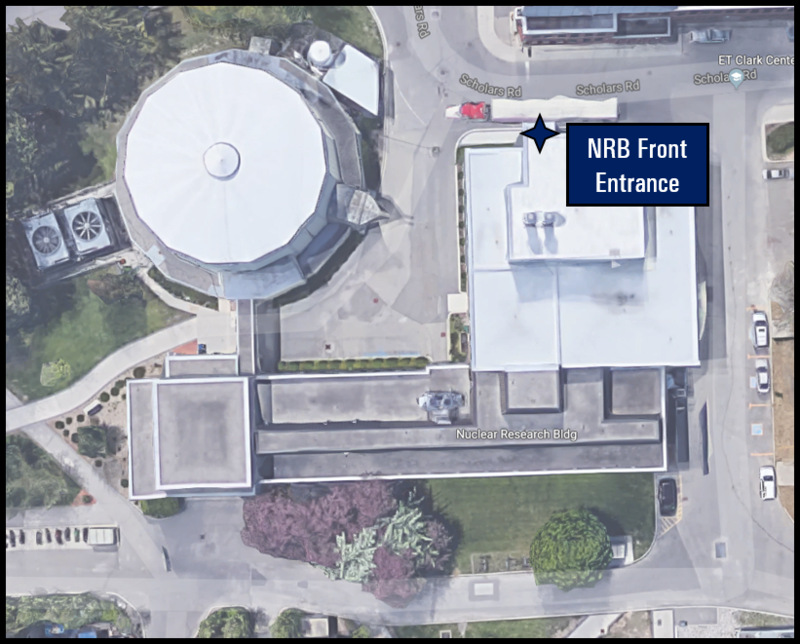 Upon arrival to the McMaster campus, enter the Nuclear Research Building (NRB) through the west (main) entrance to the new NRB Annex and take the elevator to the third floor. Signs will point the way to the Nuclear Operations and Facilities reception area. The closest parking lot is Lot I as shown below. 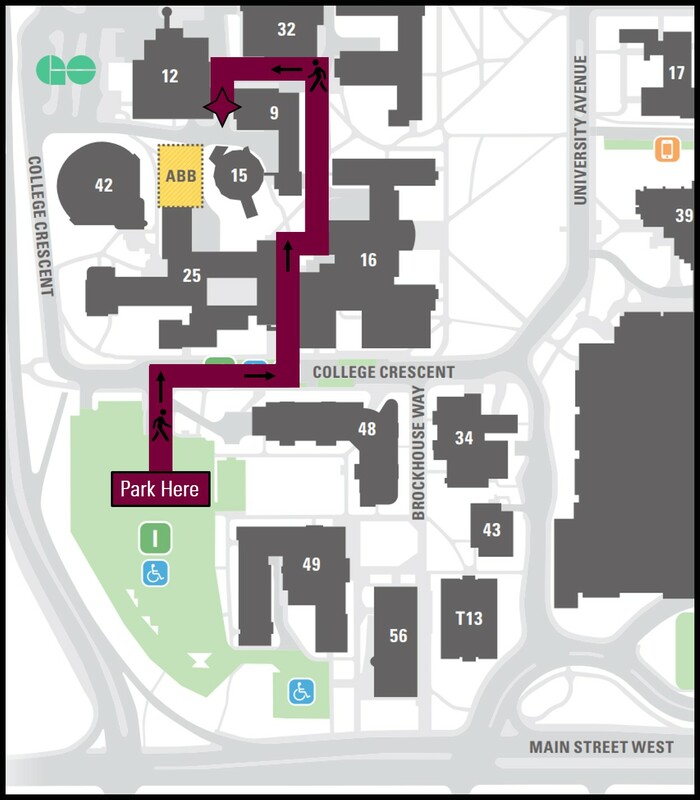 To get the NRB follow the path as shown below.